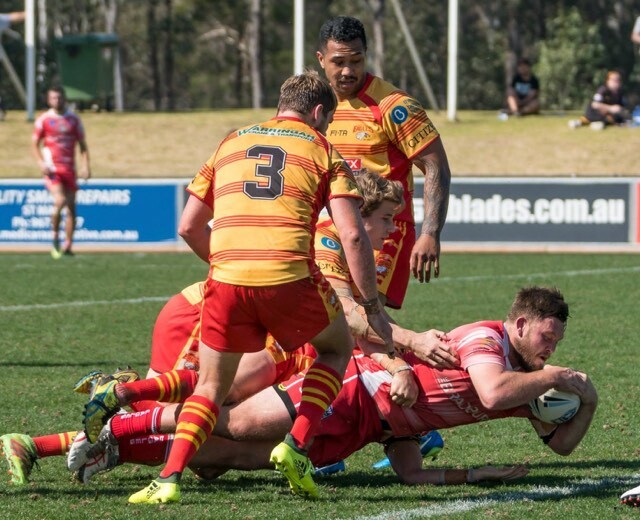 East Campbelltown Eagles were clinical in disposing of Belrose on the weekend. The Sydney Shield premiers won the round three clash 50-12 after a perfect first half of football at Lionel Watts Reserve, Belrose. Despite playing at home in front of their supporters, Belrose Eagles were no match for the boys from Campbelltown, who have started this season the awesome way they finished 2018. Coach Richard Barnes was certainly impressed by their performance. “Belrose is one place I’m glad to walk away with a solid win,’’ Barnes said after the match. Campbelltown completed 15 from 16 sets in the first stanza to completely dominate the home side. Tries to Shondre Lee Silva, Mason Talolua, Gus Garzaniti, Craig Moustakas and two to Alex Potifara set up a commanding 32-0 lead at the half way mark. Super boot Sean Connor kicked four from six in that period. Returning from a perfect half of footy, the Campbelltown boys showed no mercy when they ran in another two tries courtesy of Jarryd Eggleton and Gus Garzaniti to stretch the lead to 44-0. The momentum finally went the home side’s way when Brett Lahey found himself in the sin bin for 10 minutes. Belrose took advantage of the visitors being one man short to score two consolation tries and bring the score back to 44-12. Former Wests Tigers fullback Shannon Gallant finished the scoring with a try for the Eagles and the final score of 50-12. Best for the Eagles were Sean Connor, Gus Garzaniti, and Alex Potifara. The players’ player award went to Brett Lahey and man of the match to Guy Thompson. The mighty East Campbelltown Eagles will take on Ryde-Eastwood this Saturday, April 6 at Leichhardt Oval at 1.15 in round four of the NSWRL Sydney Shield competition.